Even though, with several other great announcements in the offing today, the revelation of a new keyboard is huge! 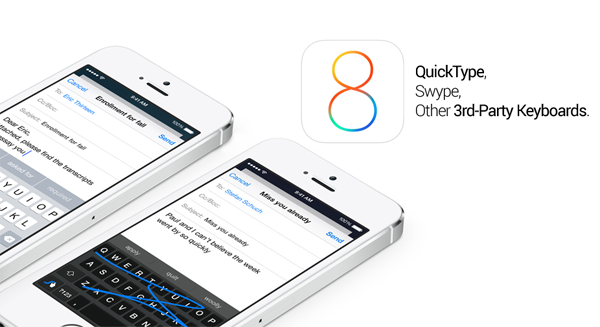 And it ought not be played down how significant the introduction of QuickType is for the long-suffering army of iPhone, iPad and iPod touch users. 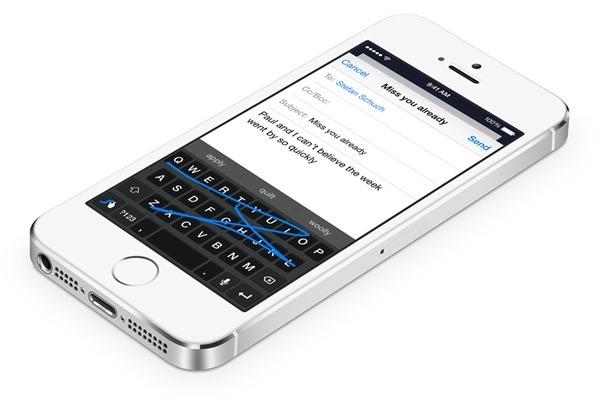 Moreover, Apple has also rolled out third-party keyboard support, meaning we could soon see the likes of Swpye, SwiftKey et al joining the party on iOS. For years, owners of these celebrated iOS devices have been plagued by the one-dimensional, autocorrect-befuddled native keyboard, but now – finally – Apple has come up with something considerably more functional. 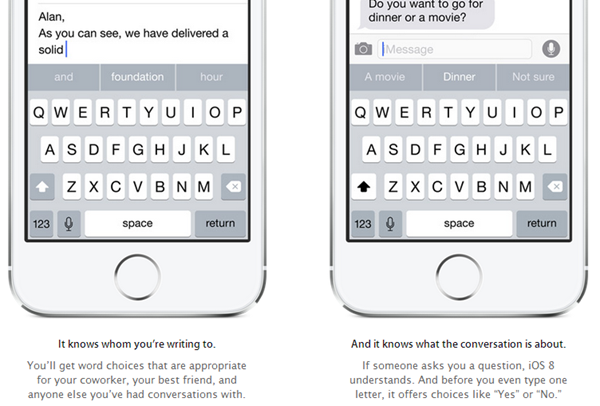 The SwiftKey-like native feature is more than welcome, but we’re definitely more stoked about the fact that we’ll be able to pick and choose our keyboards from iOS 8 onwards. Hitherto, the only way to experience an alternative typing experience has been to jailbreak and install whatever you can find on Cydia, but with Apple’s blessing, the established keyboard makers will be able to get involved and truly enhance the key-tapping credentials of iOS. QuickType certainly looks a marked improvement on the current offering, but if we’re being frank, almost anything is better than what we have right now. 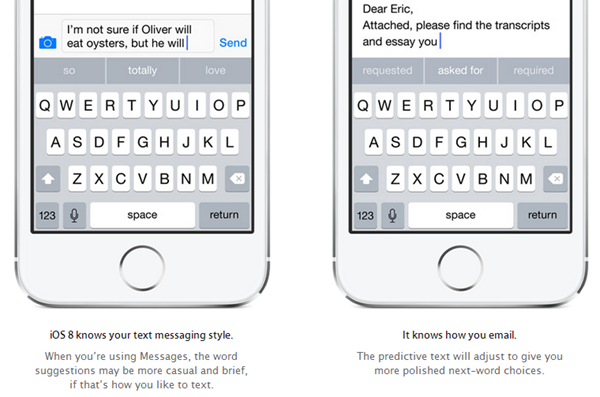 With the ability to learn how you type and also picking up on your sentence structures, QuickType is always a step ahead, and it becomes better at “guessing” the more you use it. From the get-go, QuickType will roll out across 14 regions alongside iOS 8, supporting a bunch of English-speaking countries such as the UK, U.S., Canada, and Australia, as well as Brazilian Portuguese, French, German, Italian, Japanese, Spanish, Chinese, and Thai. As a long-time Android user and lover of the SwiftKey Keyboard, I sure do hope that its developers are, ahem, swift in their support for an iOS edition. We’ll have to wait and see precisely who is on board following this new-found third-party support, but presumably, we’ll be seeing most of the popular Android keyboards made available on the App Store before the year is out. Thoughts on the new feature?